At first glance, sorullitos look like tiny sticks of cornbread. 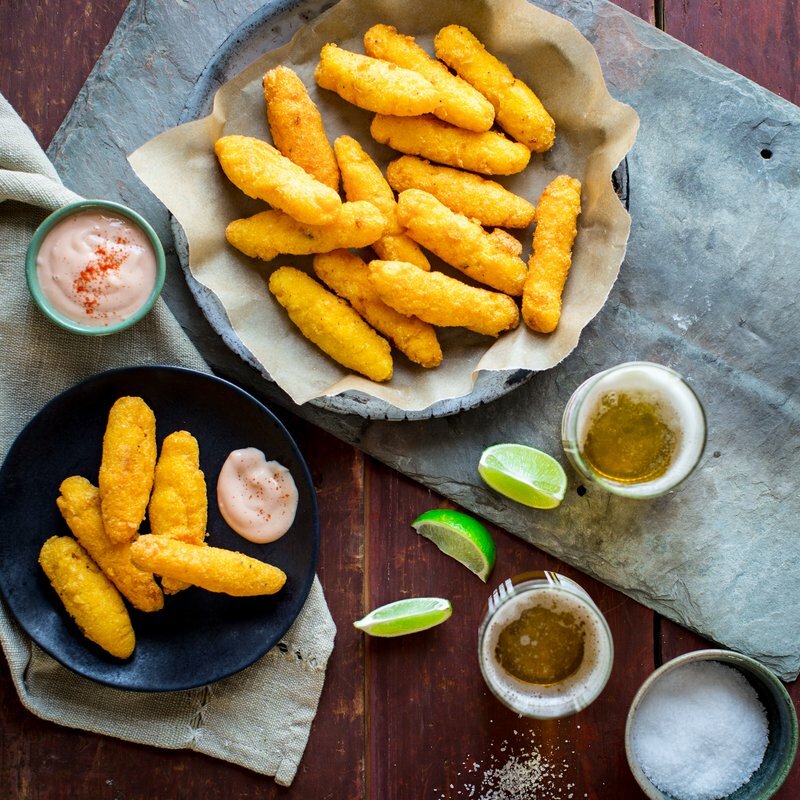 However, once you take your fist bite, you’ll realize there’s more to these little corn fritter sticks than meets the eye. If you’re not familiar with sorullitos, they are like cornbread in that they’re made from cornmeal. But they’re formed into sticks or small logs, which are stuffed with cheese and then deep fried! They’re known and loved for their fried crunchy outside and fluffy, slightly sweet, cheese-filled inside. They can be served any time of day as a snack, appetizer, or a side for brunch, lunch, or dinner. 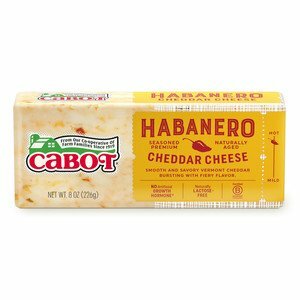 Sorullitos are commonly served with ketchup or mayo, but we highly recommend serving them with one of Cabot’s dips, such as our all new Sriracha Dip. After making these, share the recipe with friends and family on Facebook, Pinterest, Instagram, and Twitter! To make 6 servings (with 5 sticks per serving), combine the water and salt in a saucepan and bring to a boil over medium-high heat. Reduce the heat to medium-low and add the cornmeal a little at a time, stirring constantly. Once all the cornmeal has been added, continue stirring until the mixture thickens and is smooth. 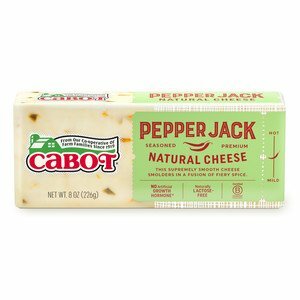 Remove the pan from the heat, add the adobo seasoning, coarsely ground black pepper, and 1 ½ cups grated Cabot Extra Sharp Cheddar (or Pepper Jack or Habanero Cheddar), stirring until cheese is melted. Allow the mixture to cool to room temperature. Once mixture is cooled, follow the recipe instructions below for shaping the mixture into individual sorullitos. When ready to fry the sorullitos, heatthe canola oil in a 10-inch cast iron skillet over medium heat until it is 325° on a deep-fry or candy thermometer and follow steps for frying stated in the recipe below. When done, enjoy them on their own or dipped in ketchup, mayo, or our Sriracha Dip (which we highly recommend)! 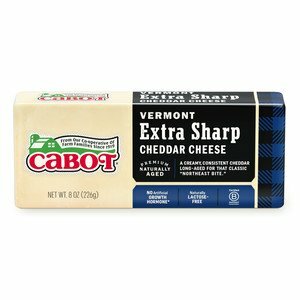 Be sure to check out our recipe for Cabot Cheddar Cheese Straws as well! As a co-operative of over 800 farm families, our goal is to make the highest quality and best tasting dairy products you’ll find. We’d love for you to rate and review this sorullitos recipe once you’ve given it a try! COMBINE the water and salt in a saucepan and bring to a boil over medium-high heat. Reduce the heat to medium-low, add the cornmeal a little at a time while stirring constantly. When all the cornmeal has been added, continue stirring until the mixture thickens and is nice and smooth. Remove the pan from the heat, add the seasonings, and the shredded cheese, and stir until the cheese is melted. Allow the mixture to cool to room temperature. MOISTEN your hands with water, and loosely shape a small amount of the mixture into a ball, about the size of a golf ball. Then, using your hands, roll and form the ball into a cylinder about 3 to 4 inches long and 1 inch in diameter. As they are shaped, place the surullitos on a baking sheet to rest so that they do not touch each other. The surullitos can be made to this point ahead of time and put into the refrigerator for an hour or so to firm up before cooking. Also, part or all of the surullitos can be sealed and stored in the refrigerator for a couple of days. HEAT the canola oil in a 10-inch cast iron skillet over medium heat until it is 325° on a deep-fry or candy thermometer. If you don’t have a thermometer, heat the oil until the surface appears a little wavy but it is not smoking. When the oil is hot, drop five or six of the surullitos in the oil and cook for four or five minutes per side. Use an edged spatula to gently loosen the surullitos from the bottom of the pan before turning carefully until they are crispy and golden brown on all sides. As they are done, remove them with tongs or a slotted spoon and place on a plate lined with paper towels.